Summer booking is Saturday to Saturday only. 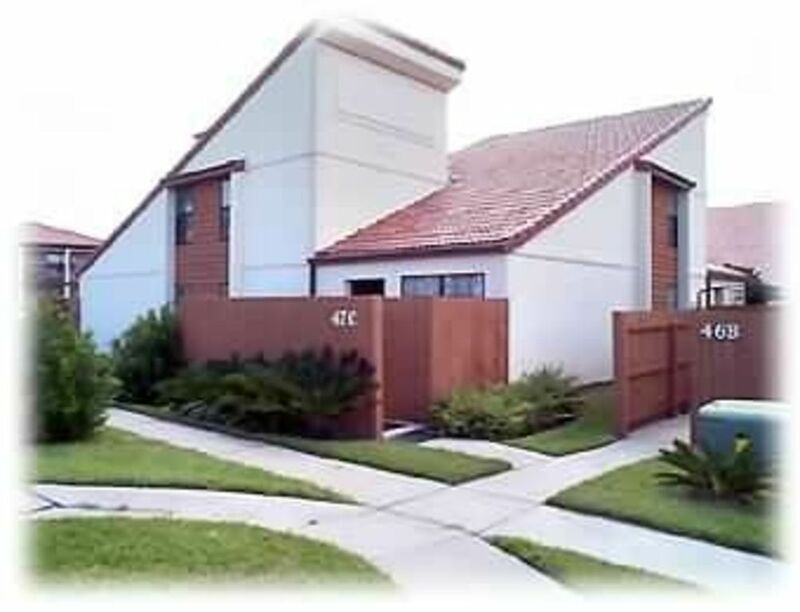 Welcome to Emerald rentals, two bedrooms at P.C.B. Make yourself at home in our townhouse, 47-C Vista Lane within the Horizon South Complex a short walk to the sugar-white sandy beach. Two bedrooms, two full bathrooms, One King size bed and two queen size beds accommodations for six guests . TVs, and at home' entertainment after a day at the beach or relaxing. Enjoy any of the four pools. Jacuzzi hot tub, exercise room, two tennis courts, shuffleboard, Miniature golf, with pool tables in our clubhouse. Hello, My wife and I have been long time vacationers at Panama City Beach for the past 24 years. We fell in love with the sugar-white sandy beaches and the entire atmosphere that the Panhandle has to offer. After our first trip to Panama City Beach, we knew this would be our new home away from home, because at that time, it was a rarity for everyone to agree on one place. We watched Panama City Beach transform from a sleepy little beach town to one of the best vacation spots in Florida. We consider ourselves very lucky to be part of the “awakening” and we invite everyone to share in the experience! You too, may be calling it your home away from home. One of the best benefits would be the amenities, and location of Horizon South. Others would be Pier Park, just 2 miles east on Front Beach road. Pier Park has over 1 million square feet of shopping, food and entertainment; Jimmy Buffetts Margaritaville, Raggae J's Island Grill, live country music at Tootsies Orchid Lounge, and much more. Frank Browns sports complex is within 5 minutes on Back Beach road. With all the tournaments through out the year, it's good to know how close it is to home and to be able to relax around the pool. We annually visit different locations over the summer with a family of 5. This complex was perfect for our needs. 3 pools, a hot tub and mini golf all in a convenient location. The apartment was nicely decorated and spacious except the kitchen was a little small and no pantry to put groceries. The upstairs beds were perfect for the kids and the balcony over looking the family room was neat. However the master bed was not comfortable. It has two valleys where people have slept over the years and needs to be replaced. We would stay again if this was replaced. We had an amazing vacation in this condo. This is the first time we have rented off the beach so I was a little worried about the walk with the kids and beach chairs but the walk was so short, right across the street with perfect beach access. The condo was so clean and decorated so cute. The owners were in touch the whole trip checking in to make sure we were having a good time. We will definitely stay here again for our future PCB vacations! From the moment we arrived we were extremely pleased with our choice of accommodations. The minute we walked into the townhouse we felt like we were in paradise. The whole property was roomy (big enough for the six of us). The interior was decorated beautifully, everything was very comfortable. We had our son and his family with us and it was so nice that they could have the privacy of the upstairs bedroom and bath and we were all still able to be together and enjoy each other's company. The kitchen was well stocked with all the amenities you'd expect. There was plenty of dinnerware and eating utensils as well. We had a private patio which we enjoyed in the evenings after returning from the beach. We usually bring home one laundry bag of clothes to be cleaned. This trip the clothing was kept clean from start to finish since there was a washer and dryer in-house. We had to contact our hosts, Tina and Darrell, a couple of times regarding some questions we needed answered and they were very quick to respond. All in all, a great stay was had by all. We would recommend this property to anyone looking for a getaway that is serene and peaceful. We had the most wonderful celebration vacation and all I can say is thank you Tina and Darrell for making this week a memorable one. We stayed for a week in June. There were 4 adults and 2 kids. There was plenty of room. The owners were great to work with!! They contacted me back quickly anytime that I had questions. The kitchen was small, but was perfect for us. We mainly went out to eat for drinks net and just had breakfast and lunch at the unit. The couch was extremely comfortable. I wish that I could have brought it home with me. The beds were also comfortable. We would definitely stay again!! Great holiday - thank you!! We stayed here for 2 weeks end of May/beginning of June and had a great time. The accommodation was perfect for a family of 4. The children aged 12 and 9 loved the pools and mini golf. We loved the beaches and spent most days there. The townhouse was very clean and had everything we needed for the holiday. Thank you for sharing your home and we hope to return again next year.